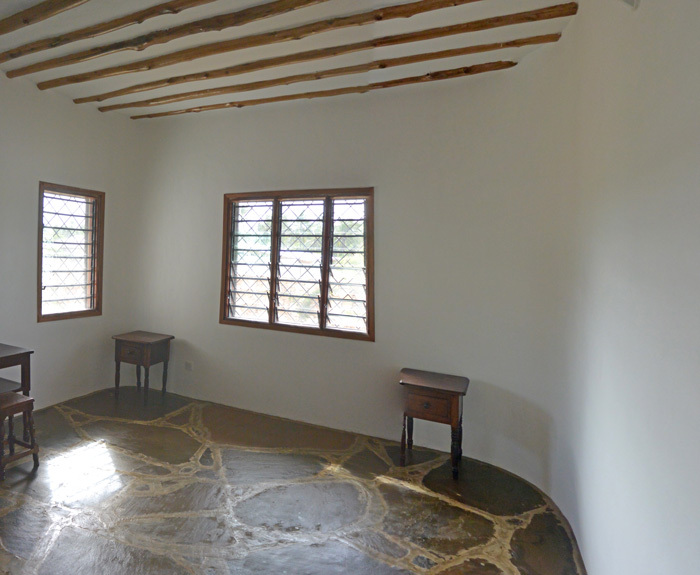 Newly built (2014), this two bedroom cottage located in North Watamu, not far from Watamu Town is for sale. The house is approximately 630 square meters within a walled compound, with a small veranda, sitting and dinning areas, kitchen (furnished with a gas top burner, fridge/freezer), and 2 ensuite bedroooms. 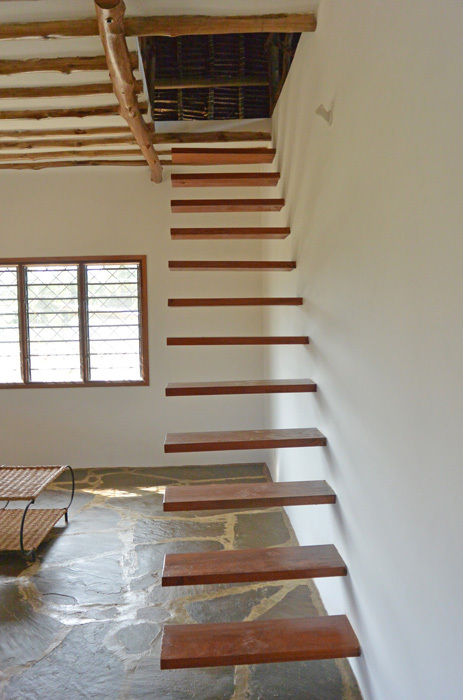 The house has galena floors and beautiful ‘floating’ staircase to a big open area, under the makuti roof. This area has potential for making a lovely big bedroom or a relaxed living area and there is the option for adding a second story. The property is connected to mains electricity and has a fresh water well. Further plans for the surrounding plots include further residences and a shared swimming pool.